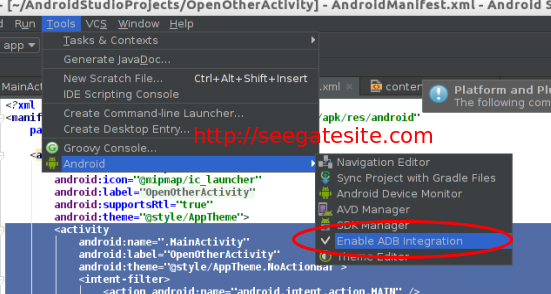 Seegatesite – how to solve ADB not responding on android studio or Eclipse. This solution can work well on ADB issues I faced. This solution I got from askubuntu.com . Hopefully the collection of the following solutions can help you to solve the problem of ADB not responding to the android studio and eclipse. The cause of ADB not responding there are various kinds such as your operating system doesn’t support the new SDK, the problem arises after update android studio and android SDK, if you are using windows operating system and installed comodo internet security crash with android studio, and much more.